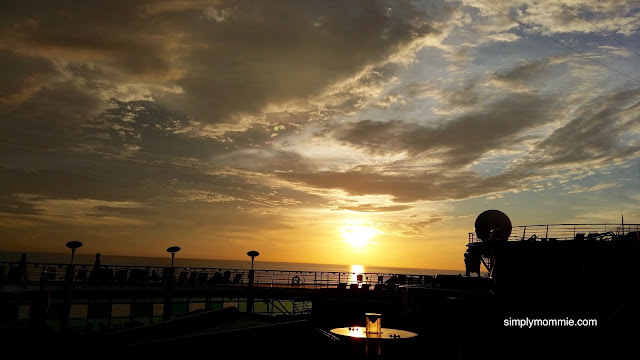 During our holiday, I asked my hubby if he’d write the Royal Caribbean Mariner of the Seas experience and he gamely agreed – so here’s his input about our wonderful cruise experience. Well, it’s the December holidays again! Given my profession, I really cannot forgive myself for not taking a break from work, from stress, and from the mundane work life in Singapore. 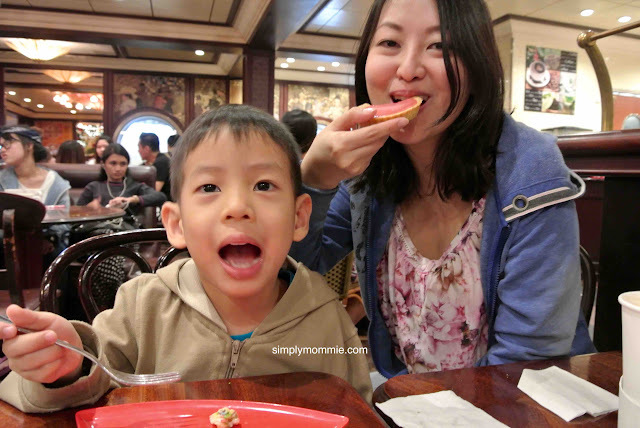 Having ventured to Taiwan last year (our first overseas trip with the naughty duo) on a group tour (yes, the trip that my wifey still hasn’t blogged about), we considered planning our own free-and-easy tour to Taiwan again this December. 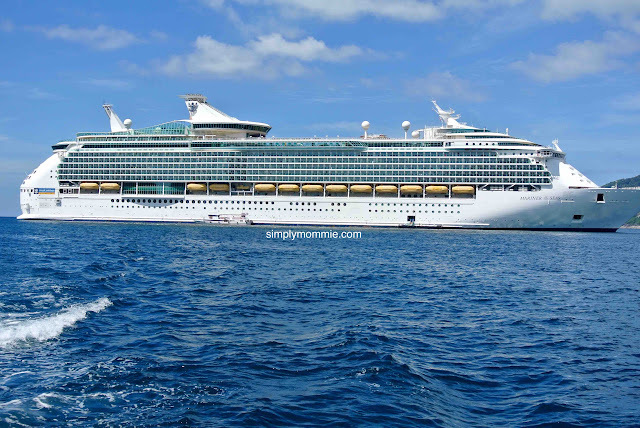 However, we gave up the idea after going through some hassle of surfing the internet for the lodging and places to visit, plus the fearful thought of lugging the duo along without the support provided by the tour agency and fellow tour-mates, so we decided on a cruise this year, to relax and to enjoy ourselves! 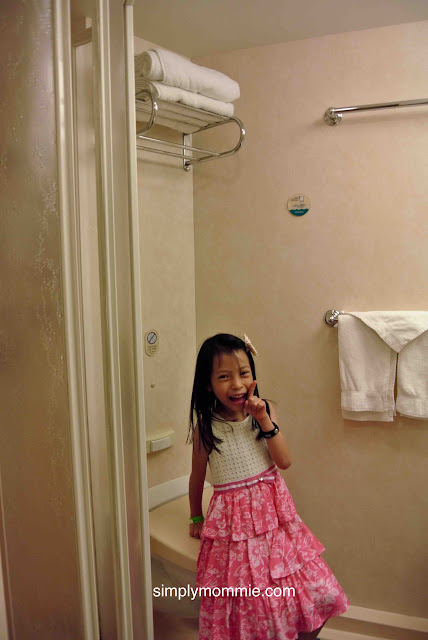 Having tried Star Cruise twice in my life, we were quite put off by the limited variety (and quality) of facilities, the claustrophobic bedrooms and the long queues for sub-standard food. 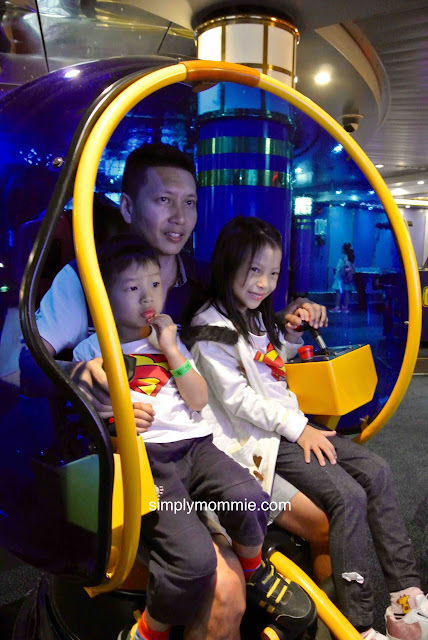 So this time we decided to give Royal Caribbean cruises a try. 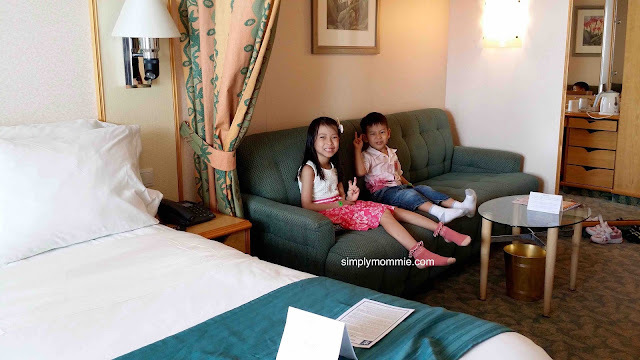 We booked a 5 Night Spice of SE Asia Cruise for two (adjoining) Superior Ocean View Staterooms with Balcony (at the time we booked, this was more worthwhile than booking a family room for four people). Our babes all set to go! When making reservations, remember to indicate your choice of the dinner timing (main seating at 5.30pm, second seating at 8.00pm). I wasn’t aware of this option when I rushed through the phone reservation and was allocated the second seating. Late dinner can be better for those who would like to snack between lunch and dinner, whereas early dinner would be more ideal for families with young kids who would like to sleep early. Settle the online check-in process at their website. At the end of this process, print out the SetSail passes. Remember to print, cut out and attach the luggage tags to your luggage bags. The luggage tags are found in one of the pages of the SetSail pass. Confirm and print out the cruise documents. ( 💡 printing these out is actually optional as we didn’t use it at all in the end). But look out for the recommended check-in time for your deck. This arrangement is to minimize overcrowding at the check-in time. Bring along a few power adaptors. The correct adaptor would be those with two flat, parallel pins (like the number “11”) towards the power point, and the usual 3 pin holes for your appliances. We went without these adaptors but easily purchased one at Port Klang for MYR10 as those available for rental at Guest Services were all taken already. So not to worry. Pack a mixture of casual wear, sports wear, and a set of formal attire for one of the night’s dinner. Some people really do dress like they’re going for the Oscar awards, but some would settle for the simple long-sleeve shirt and tie. That’ll do too. Do bring along any special costumes, attire (such as gowns) or your favourite props if you want to do photo shoots on board. There’s professional photography onboard and these are quite popular – we usually see a queue for the shoot! 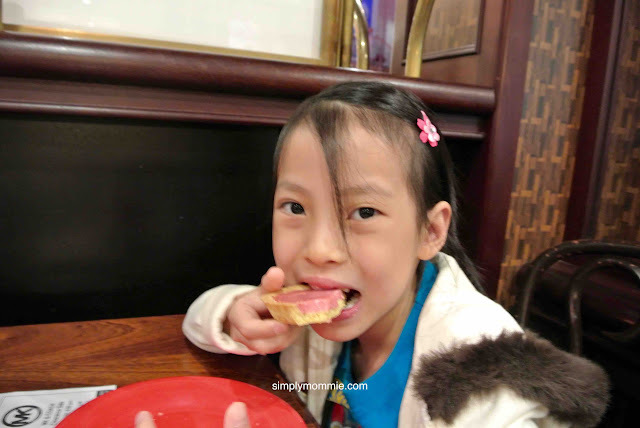 Lil girl wore a formal dress from Little Princess Wardrobe, and my wife wore her favourite black dress from Dote, even though she has stopped nursing. Bring along your sun protection stuff (shades, sunblock, hats) as the sun could be really strong at the pool deck and if you disembark at the various destinations. Lastly, you may want to get ready some US$ if you want to visit the Casino. If not, you can still obtain credits using your SeaPass Cards if it is linked to your credit card, but at a service charge of 5%. 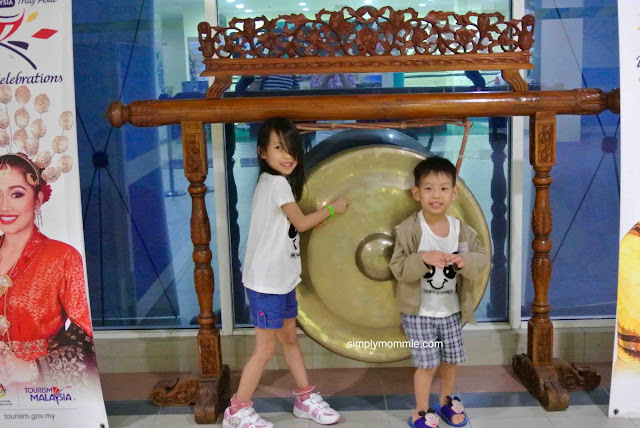 The moment we arrived at the departure area, we could deposit our check-in luggage even before entering the building. Upon entering the building, finding the way to the correct counter for checking in was easy enough. The check-in queue was substantial but there were many staff at the counter who worked efficiently to get all the guests checked in. At the check-in counter, each of us was asked to pose for a facial photo before we were issued the SeaPass cards. I opted to link my SeaPass card to my credit card for on-board purchases at this point in time. ( 💡 you should opt for this if you want convenience, or simply choose to pay by cash if you are uncomfortable with the idea). Don’t underestimate these cards. These were multipurpose cards which served as identity cards (when you disembark at the destinations), room access cards, and charge cards. You’ll have to clear the usual immigration procedures before boarding the ship. 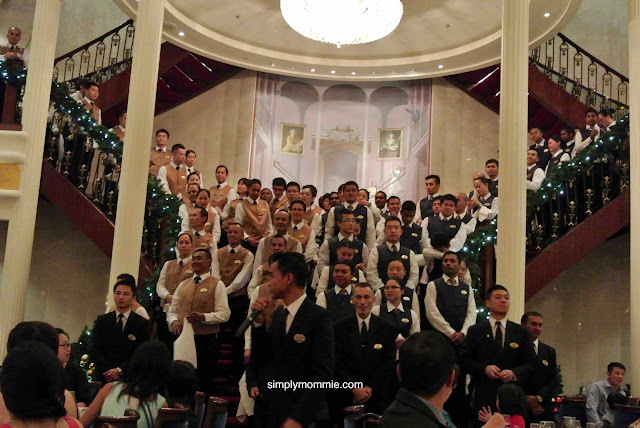 Once boarded, guests will be ushered for a welcome photo. 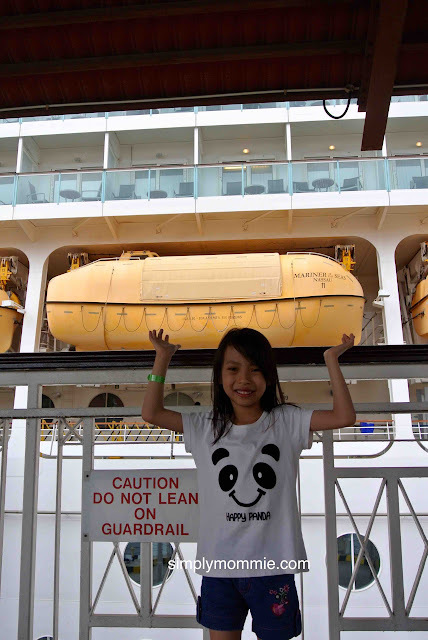 After the photo-taking, wristbands will be given to children (up to 11 years old) and they have to wear these throughout the cruise. These bands indicate the muster station number assigned to you. So in the event of an emergency, your kids would be ushered to the assigned muster station if they were not by your side during the emergency. Once done, you are free to roam around the ship. We headed straight for our rooms then. Lil boy rushing to explore the balcony. The kids’ room (identical), with a door connected to our adjoining room. Our room’s toilet and shower area. It may be small but it’s well-equipped with a fine touch. Bring along your own bath toiletries if you don’t want to use the soap and shampoo (in the dispenser) provided. View from balcony, of the other rooms and the terminal. Safety – The crew has definitely considered the safety of the passengers with much thought. The wristband for kids is an excellent safety measure, for example. A mandatory safety drill is also conducted before departing so that every guest knows where to go to in case of an emergency. If you wonder why they took a photo of your face at check-in, you will soon know that it’s used for identification when you use your SeaPass card to get down and up the ship. Quality Food – The supply of complimentary food is arranged in a thoughtful manner as well, so that there is always food available at some place or another. The variety of food is good enough for most people too. Even at their buffet-line restaurant (called Windjammer at Deck 11), the quality of food is commendable. The service by their F&B crew is also great as they ensured that the empty tables are cleared quickly and that the empty food trays are replenished quickly. Windjammer is where you will usually take your breakfast and lunch if you miss the Main Dining Room timings or if you prefer buffet style dining. The pool deck’s food area (Dog House) serves BBQ food on some days at certain times. There is also a free soft-serve ice-cream serving point (Arctic Zone) that runs for many hours a day. Snacks are also available at the Cafe Promenade all day round. 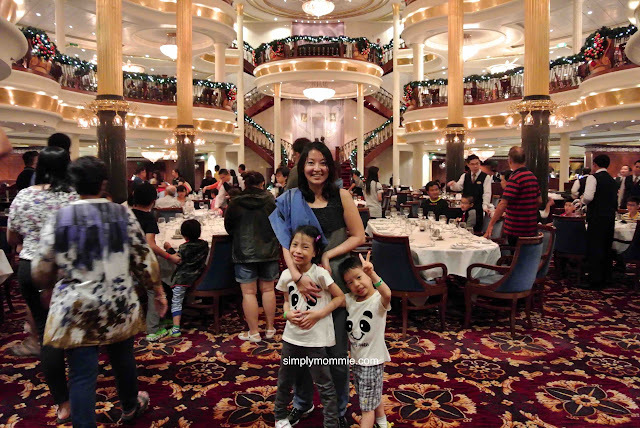 The highlight of food on board would be dinner – which promises a fine dining experience for you and your family, at allocated dining tables so you never need to queue to get a table. The waiters serve only their own allocated tables so you have very personalised service throughout your dinners at the main dining room. 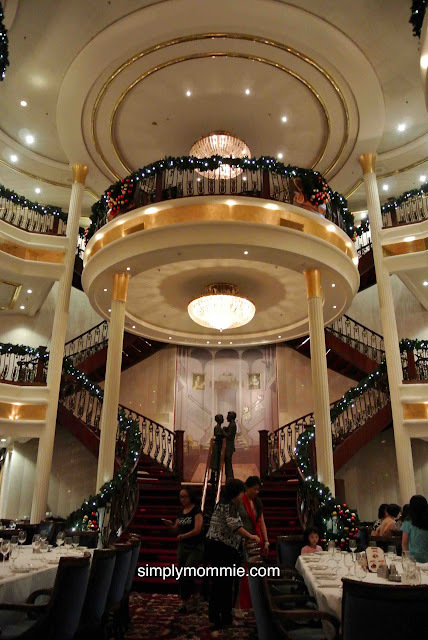 This restaurant is a 3-storey dining Hall that spans across Deck 3 (Rhapsody in Blue), Deck 4 (Top Hats and Tails) and Deck 5 (Sound of Music). This is where you will usually take your dinner, and sometimes breakfast and/or lunch (depending on your own preferences, but it’s Open Seating for breakfast and lunch). Quality restaurant food is served here with a menu for you to choose from, although I must say that the puddings tasted more like mousse. With all that said about food on board the Mariner of the Seas, I’d like to conclude that the quality dining experience here way exceeded my expectations!!! 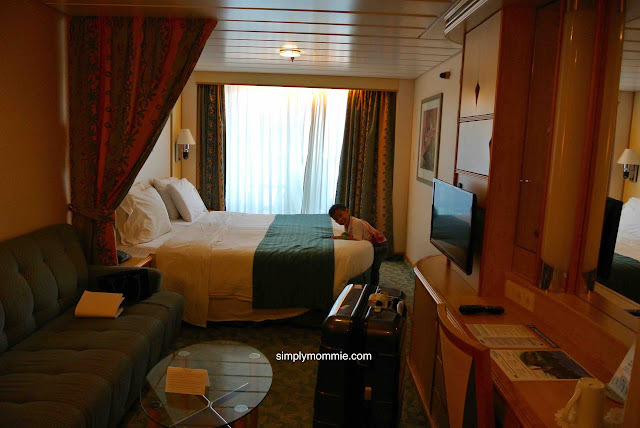 Great rooms & Great view – The rooms, at least for the ones we had, were surprisingly spacious and well-decorated. 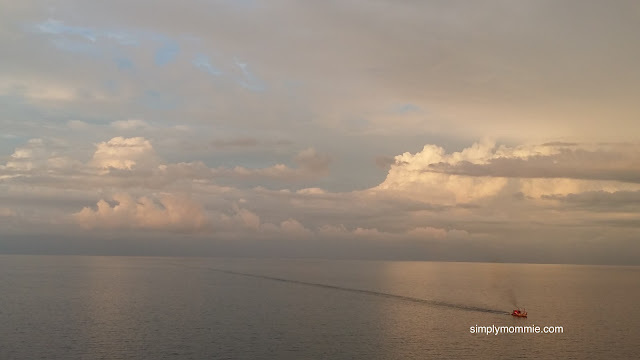 Frankly, comparing all my holidays and staycations I’ve ever had, this cruise gave me the best quality sleep. It could be the bed, or the fact that the kids were not disturbing us; I’m not sure. 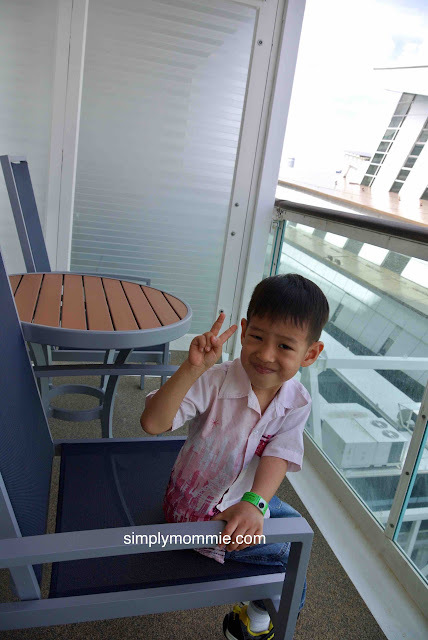 The small but nice balcony also provided a good space for me to enjoy the scenery in the day and the cool breeze in the night. 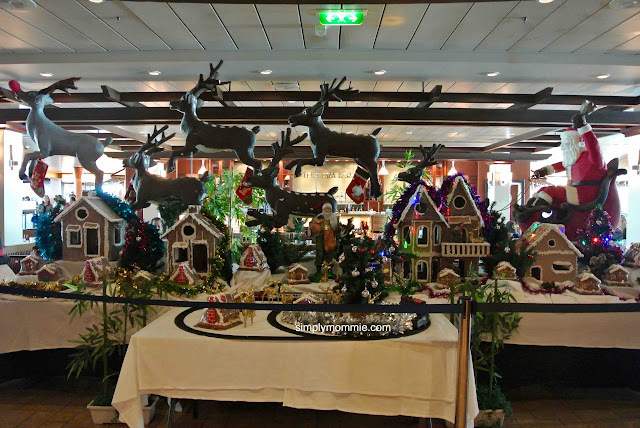 Numerous activities for the family – There are really a lot of things to occupy yourselves with on board this ship. 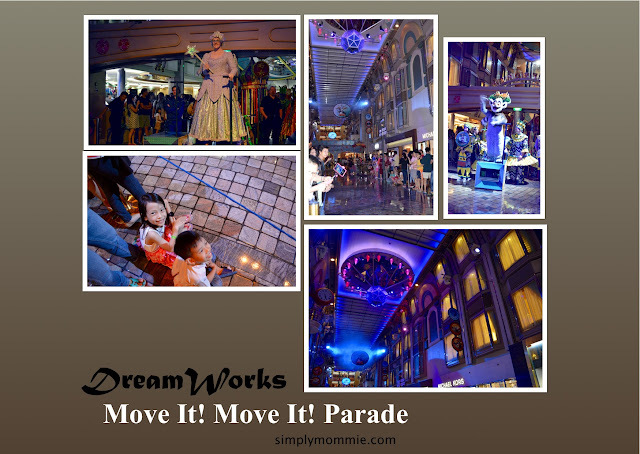 We were entertained with the DreamWorks Move It! Move It! Parade first thing after we set sail, and there were various Meet and Greet opportunities with the cartoon characters throughout the cruise. The Sports Deck has table tennis tables, basketball courts, and a futsal court. 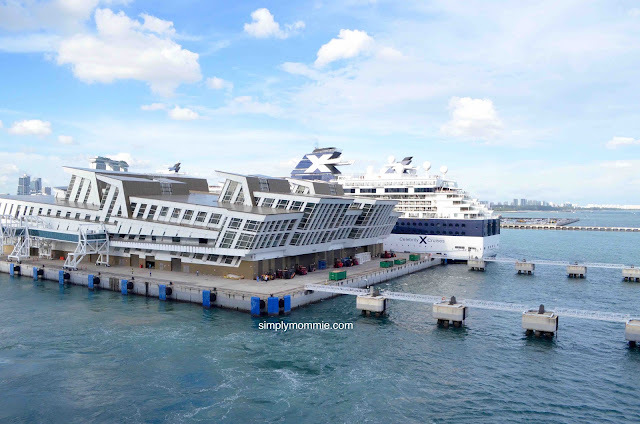 These facilities are full-sized, functioning ones which some cruises do not have. 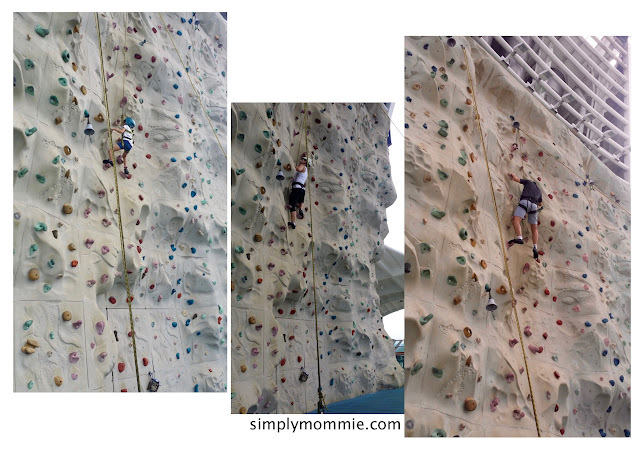 There is even a rock-climbing wall here, which you can do as many times as you want within their operation hours (about 2 to 4 hrs a day) so long as the queue is not too long. This proved to be a little tougher than the wall we scaled at The Cliff. There are also mini-golf and inline skating sessions on some days. The most wonderful facility would probably be the ice-skating rink! Smaller than the usual ones we see in Singapore, this rink still provides guests with sufficient space to have fun skating by limiting the number of skaters to 50 at any point in time. By the way, the skating is really, really HOT (as in it’s popular), so please arrive at least 15 minutes before the start time to get a place. 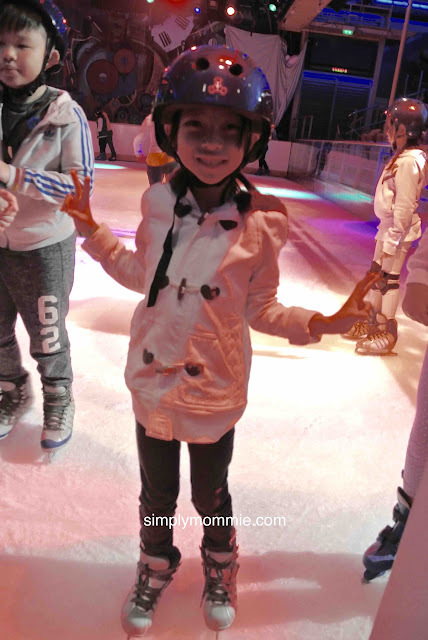 Lil girl tried out ice-skating for the first time – we went twice during our cruise! 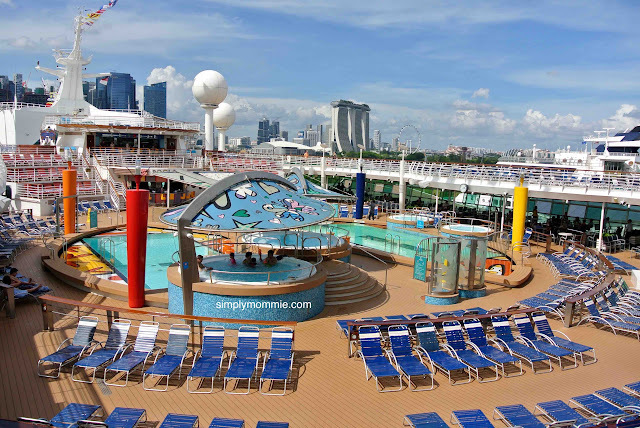 Relatively swimmable pools – When I cruised with Star Cruise, I gave up the idea of swimming when I looked at their pathetic pools. 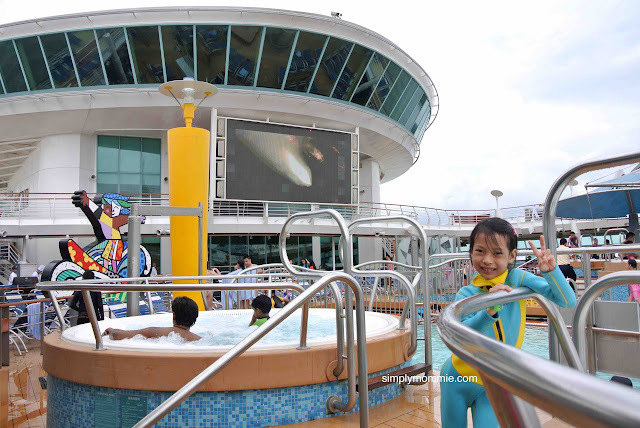 However, on the Mariner of the Seas, there are four pools to soak in, two deeper pools for swimming (1.35-1.6m), and there are a few whirlpools and a pool for swimming that are kept exclusive to adults (the Solarium) so that you can relax and/or swim without the noise of children. I can’t say that the pools here are 50m competition pools but they are at least adequate for some decent water play and fun for the family. There isn’t a wading pool that we normally have at swimming complexes that are about 80cm or so, so the only parts that the kids could play in were the extremely shallow parts (covering only about the feet) and the jacuzzi pools, but they enjoyed themselves nevertheless. We were at the pool every day! There is even a large screen TV here that screens programs almost all-day long, with some newer movies at selected times (e.g. Avengers Age of Ultron). Extremely breezy on the deck at night, watching a movie there is really comfy. World class entertainment shows – Every night, there would be some shows arranged for all guests at the Savoy Theatre (at 7pm for second seating guests and 9pm for first seating guests). 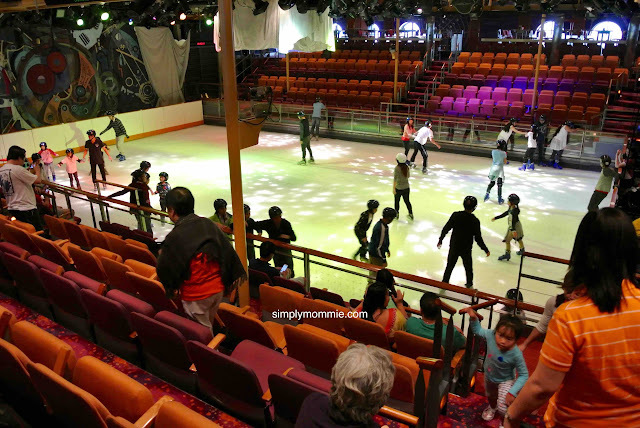 The special ice-skating performance – Ice Under the Big Top – had a schedule for guests to follow to ensure that all guests would have watched the performance at least once during the cruise. All performances are of good standard and truly entertaining. Rest assured that your evenings would be well spent! Exclusive Care for Children – You can enrol your children (at least 3 years old and toilet-trained, i.e. diaperless) for the Adventure Ocean programme on Day 1 at Deck 12 (walk in through the arcade) for FREE. 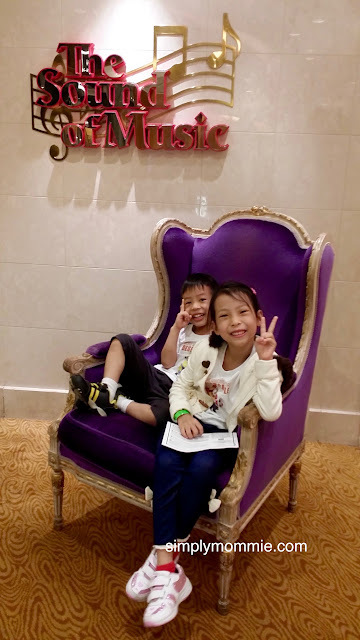 From Day 2 onwards, you can simply drop off your children, according to the slots that they offer (which is most of the day; they even had a pyjamas party!). There are dedicated staff to look after your children and to entertain them with round-the-clock activities. Kids of different age groups are also separated to ensure that the programme caters better to their needs. You can even choose to let your children take their meals with the other kids. If you do, the crew there will bring all the kids to Windjammer for their meals. What can you do in the meantime? 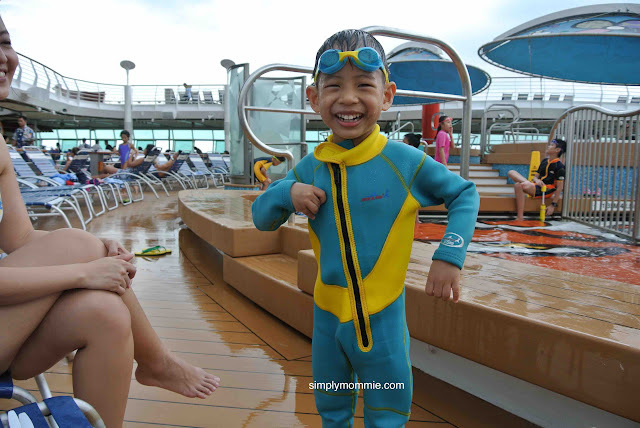 I’d suggest you and your partner go for a workout at the gym (which is what we did), spend some quiet moments at the pool deck, go for spa or get a massage (but chargeable), or disembark to the shore destinations without your little ones. 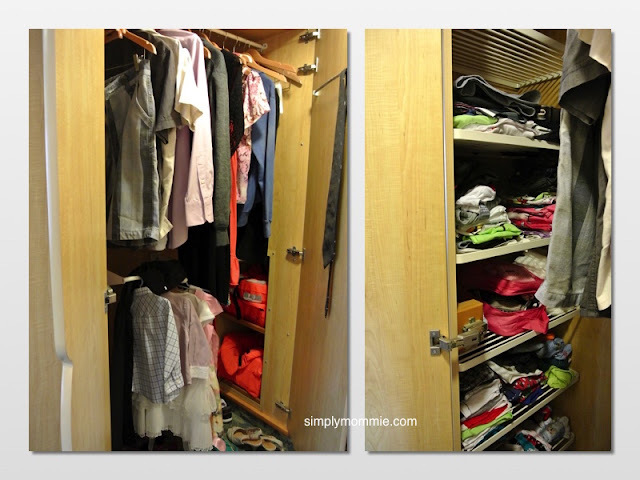 Most things are covered – By paying for the full cost of the cruise, you’ve got most things paid for already. 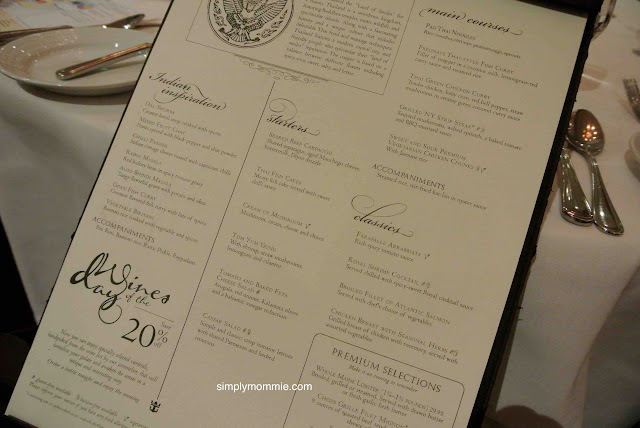 While there are some chargeable stuff such as Specialty Dining (e.g. Chops Grille and Giovanni’s Table), massage, photo shoots, alcohol, beverages, shopping, and Royal Caribbean organised shore excursions, I must say that most of the other complimentary services and products are already more than enough. There is usually no pressure to spend on such chargeable stuff, although you would see some crew going around to advertise for their restaurant meals. Just give them a smile and a gentle shake of the head; they won’t push you any further. Honestly, I’m quite impressed with the way they have provided sufficient complimentary stuff for guests, and yet creatively enthusing guests with their chargeable stuff. 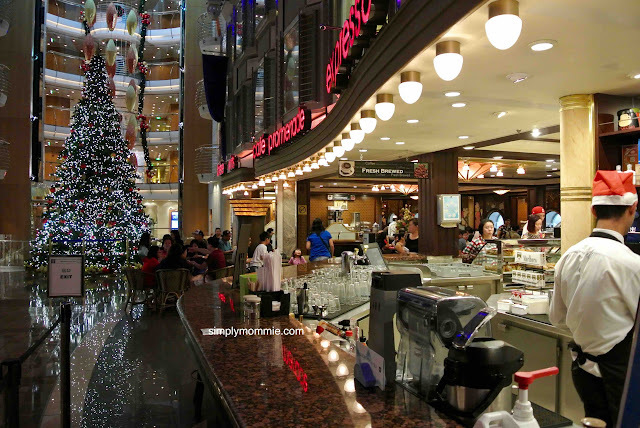 For us, we mainly spent some extra bucks on Illy coffee at Cafe Promenade because we didn’t quite like the free coffee provided on the ship. 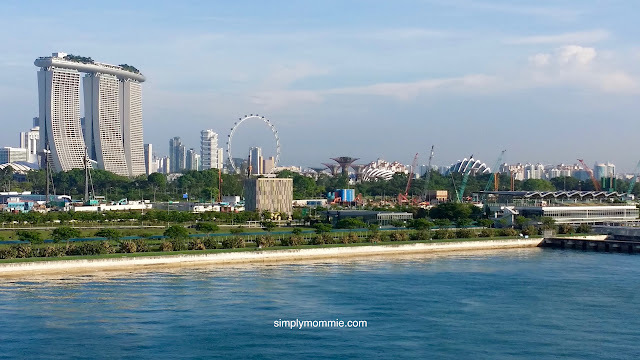 Shore excursions – we didn’t opt to go for any of the Royal Caribbean organised shore excursions as those are chargeable and we didn’t fancy spending too much time on-shore anyway so we just explored a little on our own. 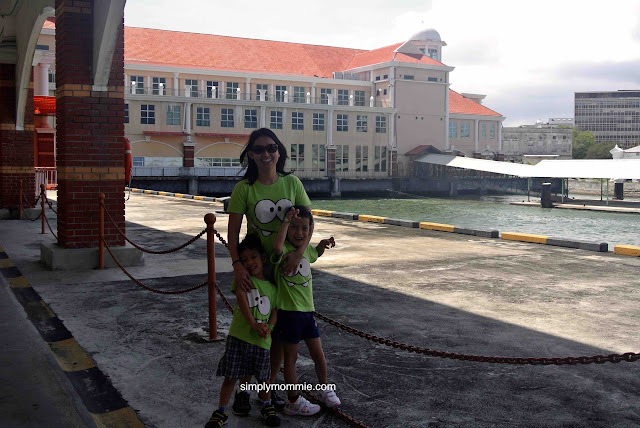 We didn’t do very much at the various destinations, but we still enjoyed the entire experience. On the day of departure, breakfast was served particularly early so if you intend to get something to eat, do remember to get up a little earlier. 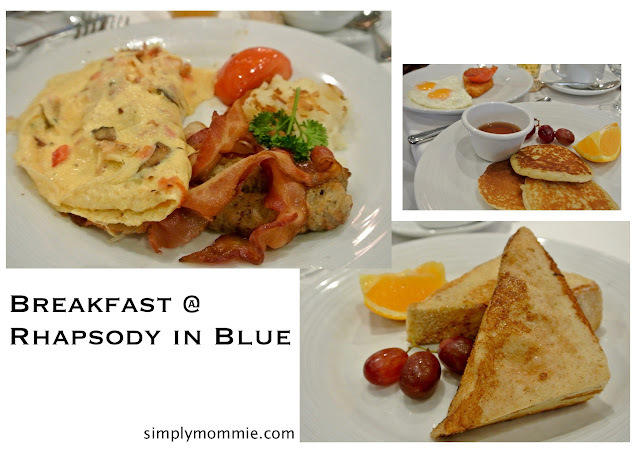 Even Cafe Promenade’s breakfast timing ended at 9am. 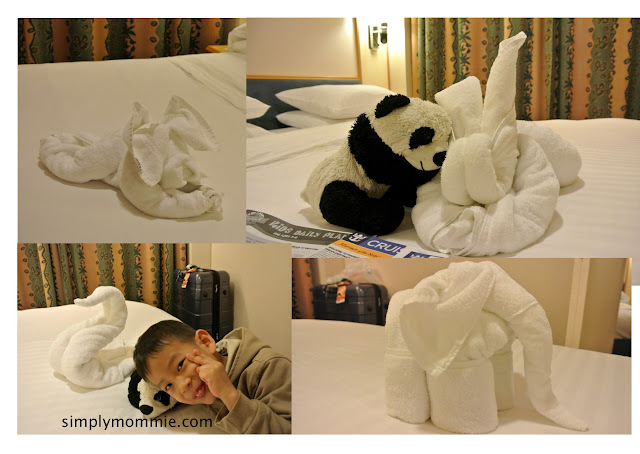 We left our luggage outside our rooms the night before so we waited for our turn to disembark – and everything was very orderly and efficient. Overall, I’d say that my little family of four had a marvelous time. 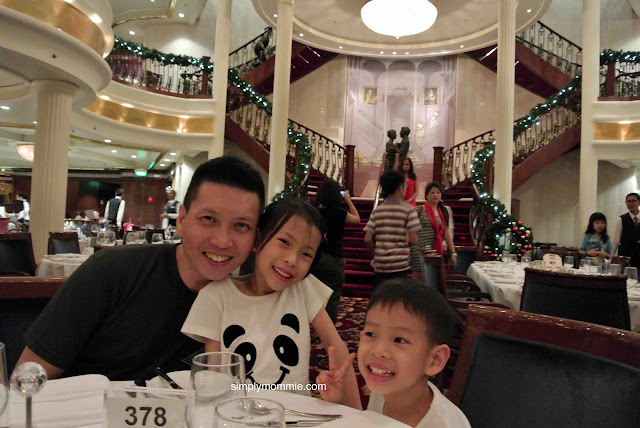 There were plentiful activities that suited our preferences, I got to spend quality time with my family and we-time with my wifey, and the service onboard was impeccable. 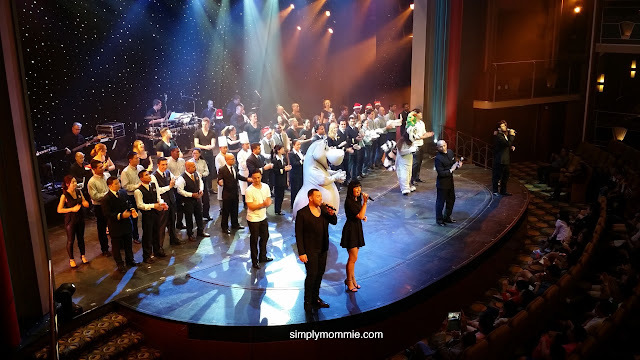 As the Cruise Director said during the farewell show, on the Royal Caribbean ships, they don’t say goodbye because they know their guests will definitely be back – and so, till the next time! This entry was posted in Memories, Vacations, Where to go. Bookmark the permalink. 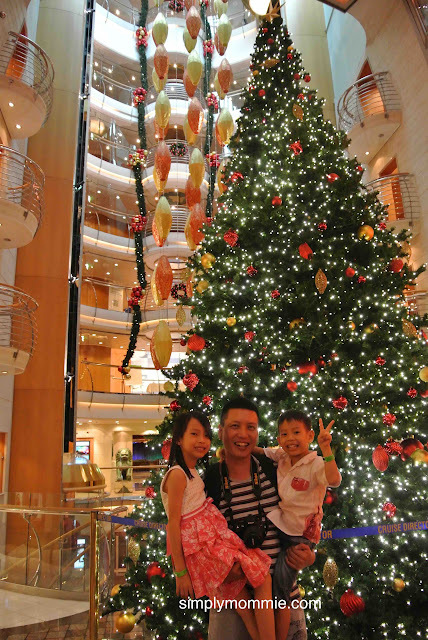 Thank you so much for sharing your cruise experience. I’m planing a trip for my family too. Same as you I have 2 kids 8 and 4 yrs old. May I ask…. 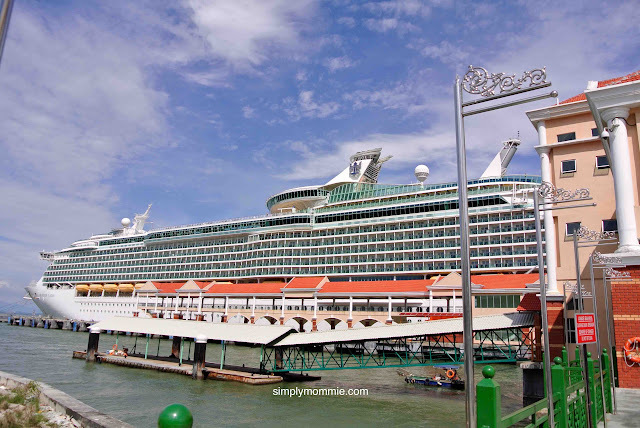 a) Where & when to book the cruise to get good deals? b) How much you paid for 6 days trip? b) Is that kids below 12 years old different charge? c) May I know in total how much tax your have paid? I would appreciate if you can share more info & tips to me. Thanx for sharing ur cruise experience.. m sure it l b helpfull for me. I m planning cruise wid my 1 year son n wifey dis feb on our anniversary.. can u suggest me dat l it b f9 to plan for cruise wid 1 year baby.. ?? Hi, I’m not sure what your question is. Can you rephrase please? Thank you for sharing your experience. We planned to cruise in Nov the 3N cruise. But very uncertain if suit my kids till I came across your blog. 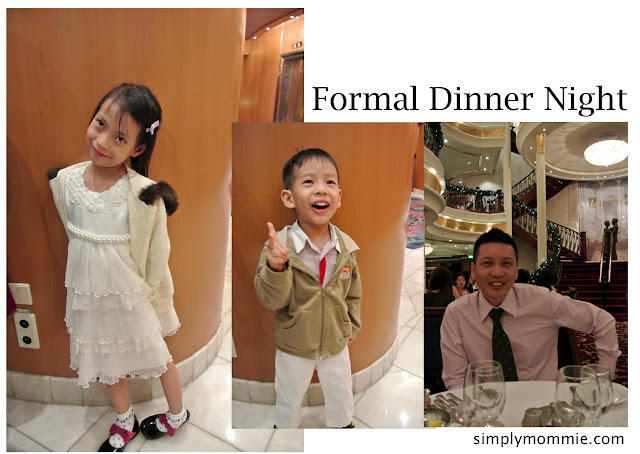 For the formal dinning, is it a must be really formal? My parents don’t wear formal. Kids don’t have formal wear too. What is the currency used on board? Thanks. Hi Angie, some people will turn up in very formal wear – tuxedos and gowns. As long as you don’t turn up in slippers and shorts and just be semi-formally attired should be fine. I think something like office dress code such as a dress for ladies and long-sleeve shirt and pants for men is perfectly acceptable. I wore a black dress while my husband wore long sleeved shirt with tie and working pants. Currency used on board is USD. 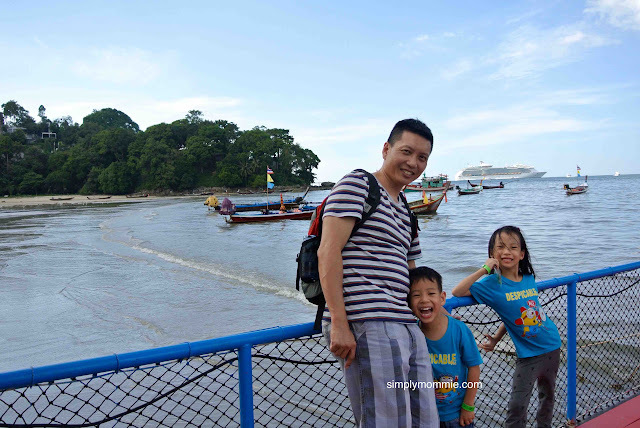 Can I find out from you regarding the Penang shore trip, is it very difficult to walk around yourself? The makan place that you went is it within walking distance? 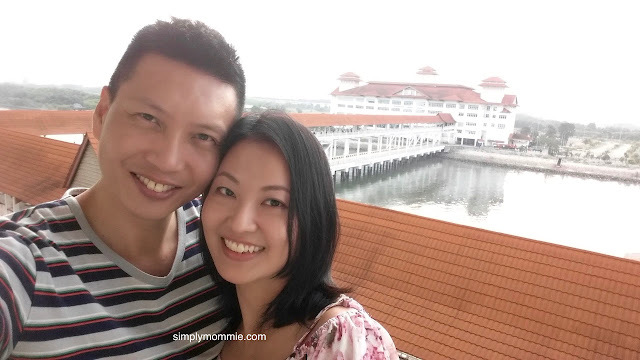 We’re not familiar with penang so I would say not easy to figure out where to go. But there are many drivers at the port that will bring you around for a fee, and that’s what we did. 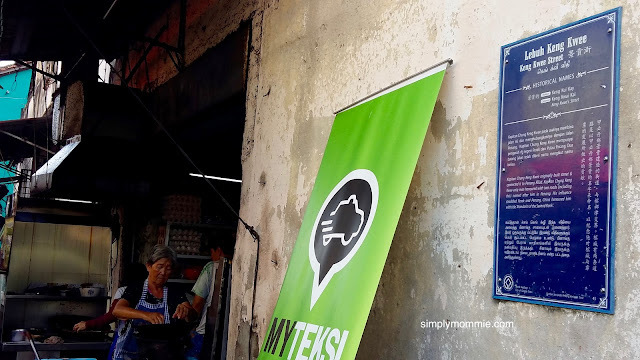 The makan place is not within walking distance. I have just booked a november trip. May i ask how much is the fee to rent a car plus driver at penang? Do u need to tell them where u would like to go or does the driver already have an itinerary planned? The driver will send us back to the jetty? I think we paid about 100ringgit for him to bring us for some food plus return trip to the jetty. The drivers there have ready itineraries so you can choose based on your budget and interests. Thanks for sharing. I’m bringing my 21mth toddler on board. Can I ask if the room has electric flask to cook hot water? It has, but can also ask for more bottled water. Hi, thanks for sharing your experience in detail. I’ve booked a trip this December and will be bringing my baby girl, who will be 9 months old at that time. RC’s policy is that no devices that can generate heat will be allowed onboard, and I’m just wondering what other parents have done for sterilizing baby bottles. I’ve emailed them regarding my steam sterilizer but their reply was simply that it wasn’t allowed. Hi, I am not sure what others have done, and I haven’t sterilised bottles in a long while, but hot water is readily available on board. Perhaps you could sterilise the bottle with hot water before using. Hope you will be able to find a solution to this. Lunch won’t be provided, but you can get light refreshments at the promenade cafe. We played safe by eating some food at the ferry terminal first in case of large crowds at the cafe. 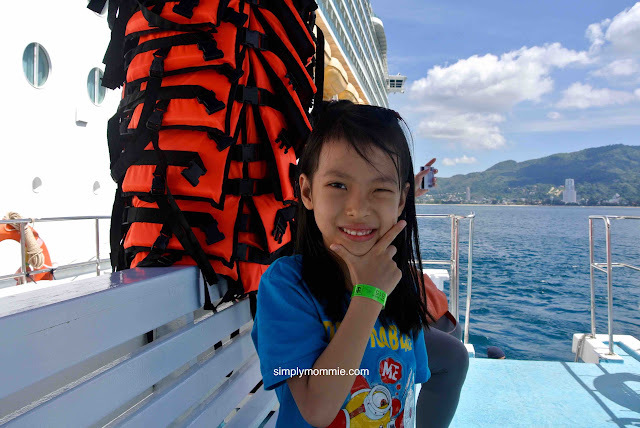 Hi, may I know if when you rocked at Penang or Phuket, did you do a free and easy tour on your own or took the onshore tour package offered by the cruise itself? We went for free and easy on our own. Hi, may I check with you whether the room provide drinking water? And when reach Phuket can I choose to stay onboard if I don’t want to go down? Thank you. Yes, there’s bottled water and a flask to boil water. You can choose to stay on board. Okok! Tats great! 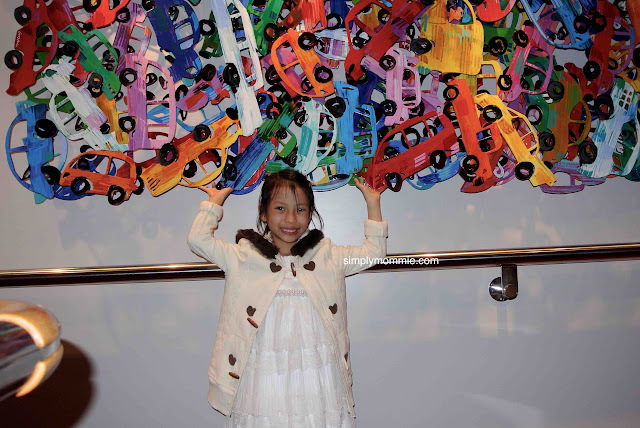 Thank you for your info.. Coz I first timer.. Dunno anything at all.. Haha..
Hi, mommie. our review is very useful. I will onboard on Nov. 2016 and would like to ask the follows: 1. 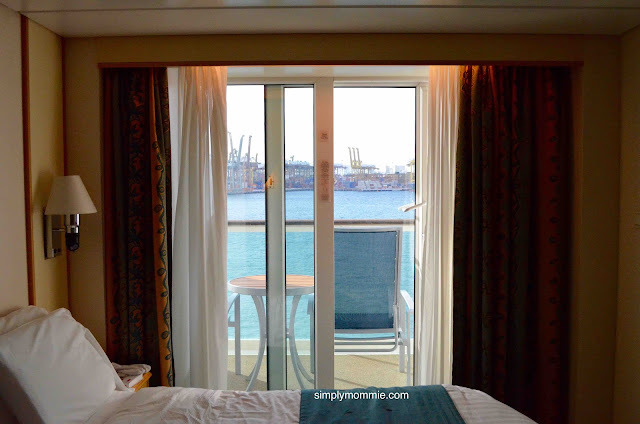 Weather it will spend a lot of time from terminal check-in to take my stateroom? and what is the best time for boarding to avoid crowd of people 2. I will check in at 12pm and what is the time that the main dinning room will be opened for guests on the 1st day? 3. Does food are available 24hours in the main dinning room? e.g. : if I wanted to have a free cup of coffee or tea, say at 11pm. 4. Does tooth brush, tooth paste and bathing gel etc are provided? 5. 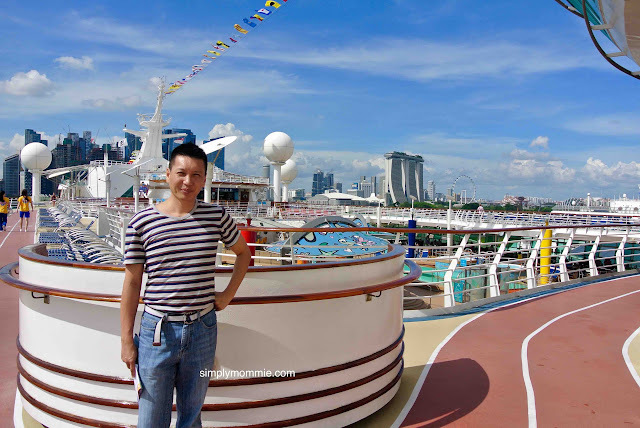 Would you please give me any advice or tips for better manage of the trip on board? Thanks for your reply. Hi, I’m not sure when’s the best time to check in. We started to check in at about 1.30pm and it was not too bad. Main dining room won’t be open till dinner but you should be able to get food at Windjammer or Promenade cafe. 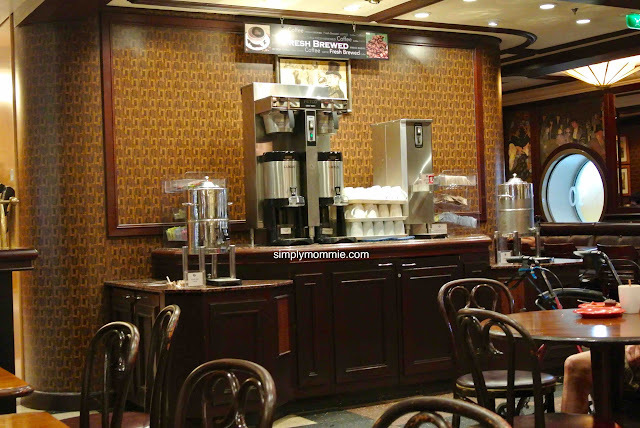 Promenade cafe is open 24hours so you can get coffee or snacks anytime there. I can’t remember if toothbrushes etc. are provided, you may want to check with RC directly. Onboard is generally free and easy. Just plan according to the given itinerary and activities given at the end of each day for activities to do the next day. Hi, thanks for your information and reply, which is very useful to me. I would like to ask one more question. Is there free wifi available in the ship? So, if I wanted to have wifi for my mobile phone, any suggestion for me. Hi! Thanks fot sharing your experience. We just booked the cruise for january next year! Can i ask if there are plenty of bottled water provided since my family drink a lot of water. Can ask for top up free of charge? And how about the laundry? Will it be laundry service or have to pay extra? Will be our first cruise and cant wait for it. Thanks a lot !! Hi, you can boil water in the room. You can get bottled water free of charge from the promenade cafe so I guess you can always ask for more bottled water from your room. We normally would grab some bottles on our way up to the room. We did not opt for laundry service so I’m not sure. Thank you so much for the reply !!! Hi, thanks for your information. Is there free wifi available in the ship? So, if I wanted to have wifi for my mobile phone especially in the ship, any suggestion to me? There’s no free WiFi. You need to pay for it and it’s quite expensive. I can’t recall the actual cost. Thanks for your reply and have a nice week. there are other packages for multiple devices which i dont remember the price. Hi, if I wanted to find a place for storing my luggage for 7 hours after disembark and before I go to airport. Would you please give me some suggestions? I don’t know the answer to that. Please seek RC for assistance. Hi, I suppose it is fine to bring hand luggage. Can double check when you are checking in at customs. It should be similar to taking a flight. Thank you for your reply. I have another question, do you remember what time you managed to get off the cruise? It’s supposed to dock at 8am, did you manage to get off soon enough? I can’t really remember. But the timing to disembark depends on the deck you are on so that there won’t be a mad rush. Eventually, the people cleared out fast enough and we didn’t have to wait till the timing for our deck. Hi I will be going on board this Dec 2016. Was told by my friend that the meals provided are almost the same as everyday. Izzit true? Hi, not really if you eat at the fine dining place every day. Windjammer serves up similar food but not all the same. I think the cafe promenade serves up the same snacks every day. Hi! I will be travelling onboard this weekend with my 3yo and 4.5yo. May i ask what are the activities that i will have to book in advance? How early do i have to book to guarantee a slot, and where i should go to book. Thanks alot for sharing! 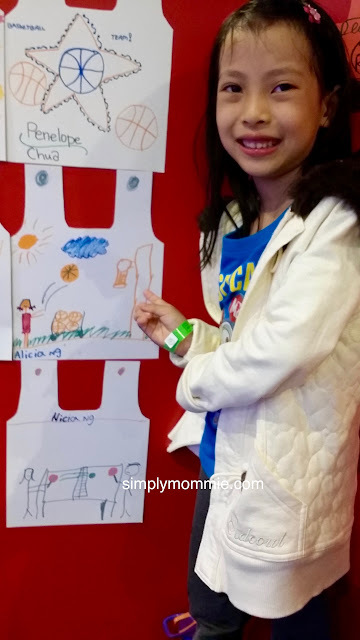 On day 1, go and get a slot for the kids club thing where you can leave your children on subsequent days for selected hours so you can do your own activities. Other than that, activities like ice skating have to queue maybe one hour in advance. Where did u board? Was it at harbourfront or marina bay? Hi thanks for sharing your experience and info with everybody. Just check how cold it is in the ice-skating rink, in the photo you posted, some people wearing jacket, some people wearing t-shirt, a bit confusing for me:-) Also is there an electric safe in your room? The ice-skating rink is about as cold as the one at JCube. Can’t remember if there’s an electric safe in the room. Hi d ice skating provided jacket,groves ? Jackets and gloves are not provided but there are safety head gear, wrist guards, knee guards. Hi am gg for the cruise this Monday. 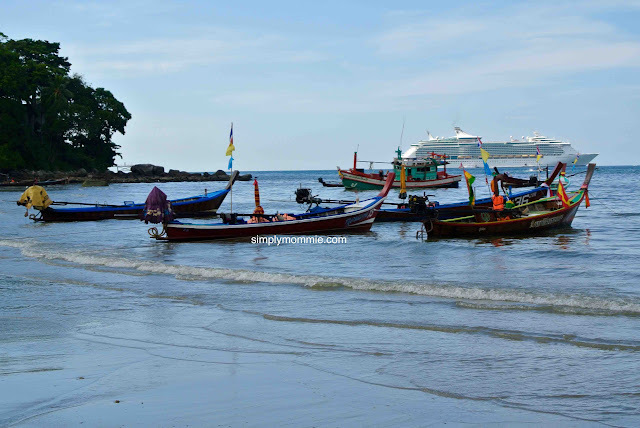 I read a review online abt the author’s bad experience on the tendered boat to Phuket. But that was in 2012. I am concerned as i have a 1 yr old and a 4 yr old son. Should I be concerned? Did the tendered boats ensure safety and was the whole ride on the boat ok? Not sure what the bad experience was, but ours was fine. 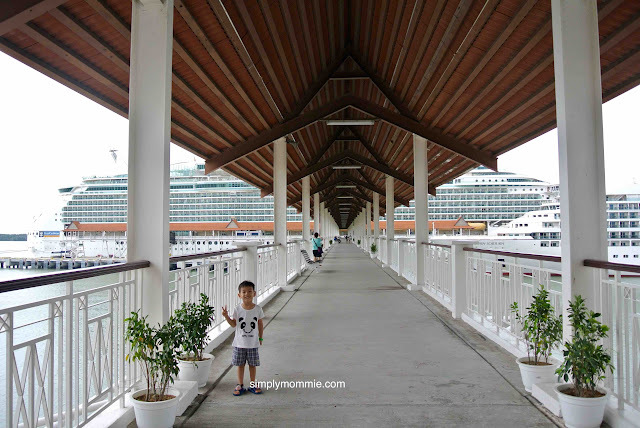 We didn’t rush to get off the ship when it docked, so our boat was not packed and we had a leisurely ride to phuket. Weather was very sunny so no strong waves etc. 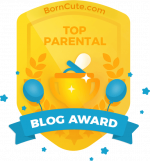 thanks for the blog! Can I know where (which pier) exactly will be alighted for Penang and Phuket? Hi.. would like to ask if sneakers are allowed for the formal dinner ? Yes, we did free and easy. If you want to go for the itinerary with RC, you’ll have to pay extra. I think it was patong beach that we were at. No extra taxes, but you are encouraged to leave a small tip for the housekeeper on the last day. 3. Is the room-service free-of-charge? 1. Is the ice-skating, rock-climbing, gym free? 2. Is the check-in procedure confusing/complicated/hard? 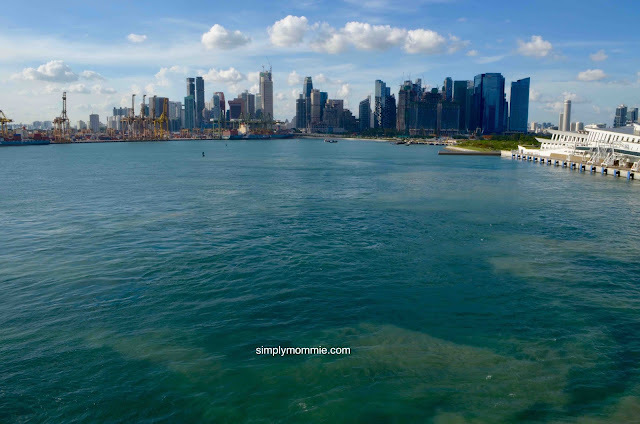 'cause Marina bay looks like kind of a big place. 1) yes, all free. But you’ll have to queue for ice skating and rock climbing. 2) check-in is straight forward. Don’t worry. What do you mean by room service? You can ask for what you need (eg. Towels, water) without charge. Previously, room service was free until 11+pm thereafter just compulsory tipping. but i think recently this year they have started to charge USD7.95 per room service but with that, they have expanded the range in the room service menu. *Breakfast room service is still free. 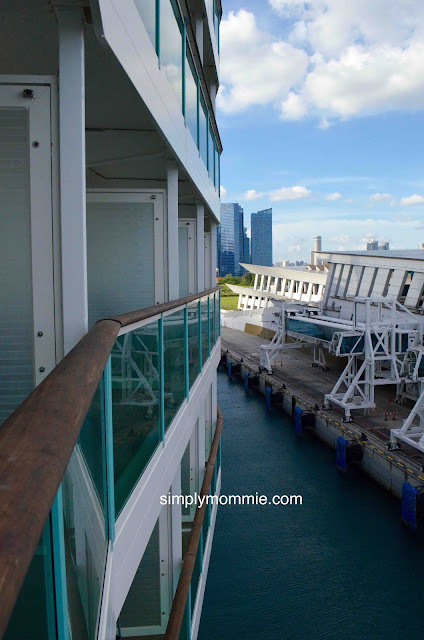 my mum had tried star cruise (libra) and get motion sickness on the last day. she is now in her 70’s and i want her to enjoy her trip rather than suffer by sea sick. Yes, RC is much better. You can hardly feel it moving, unlike star cruise. First time experience – am pleased with all the arrangement from room to food and activities overall is good and I have enjoyed it. Thank you. Only disappointed shop don’t sell toys, chocolate, and soviner. Was seperate Malaysia visa required at Port Klang ot sea pass was enough to go around and return back. Thanks for sharing, your blog was really informative. I will like to check which deck and room number you chose and if it is D1/D2/D3? Thanks. Hi, I think we stayed on Deck 6 or 7, can’t really remember. But it was definitely not D1/D2/D3. Hi thanks for sharing your wonderful experience. I heard that there is room service and can i check how long is each room service? does it take 5 minutes or up to an hour? thanks! Hi Tenor, I’m not sure how long it’d take as we’ve never tried it. Hi.. 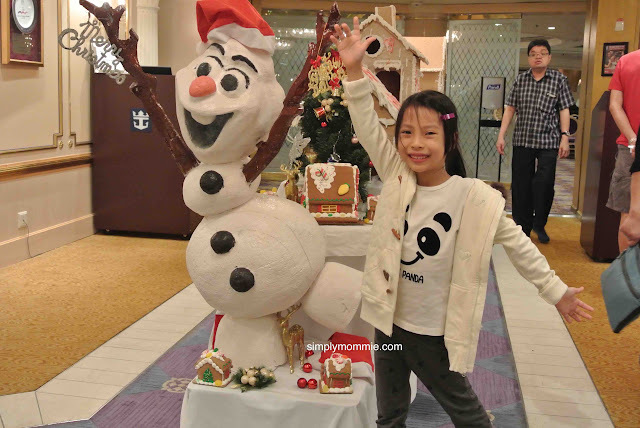 I stumbled upon yr blog when I googled for RC for my upcoming 3N to KL in Oct.. U are making us more excited and can’t wait for the day.. haha.. a’way is tidbits allowed to be brought in the cruise upon check in?.. or we can only buy them inside the cruise? the Deck we wanted. I am leaving for the cruise with my daughter on 02.10.2017 for my first cruise holiday also my first holiday with my daughter only. Yes, there’s no choice of deck. Have an enjoyable trip! It was informative to read your blog post on the cruise. May I ask did you opt for the internet onboard? 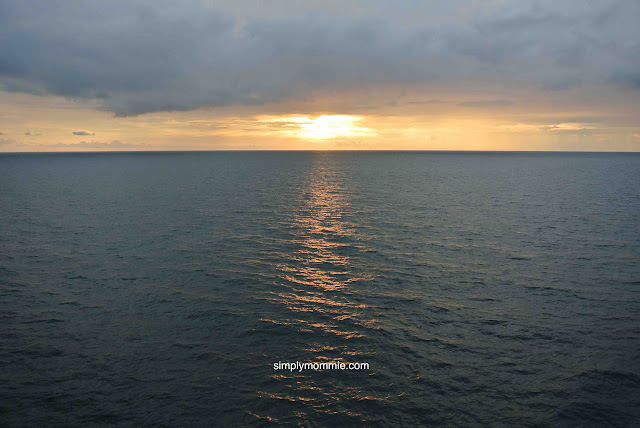 If using roaming Data, would there be reception if we are out in the sea. Hi babe, thanks for the lovely article! May I check how much is it to rent a taxi driver to tour Penang and back to the dock too? Depends on the itinerary you choose. They have a few to choose from. For ref, ours cost 100ringgit. great info! Just wondering about the disembark/embarkation process at each port. for example, at Penang and Phuket, do you need to show your passport and go through customs again when you exit/enter the ship at the ports? You’ll exchange your passports for seapasses once you board the ship. You will use these seapasses as identification when you embark and disembark at the destinations. 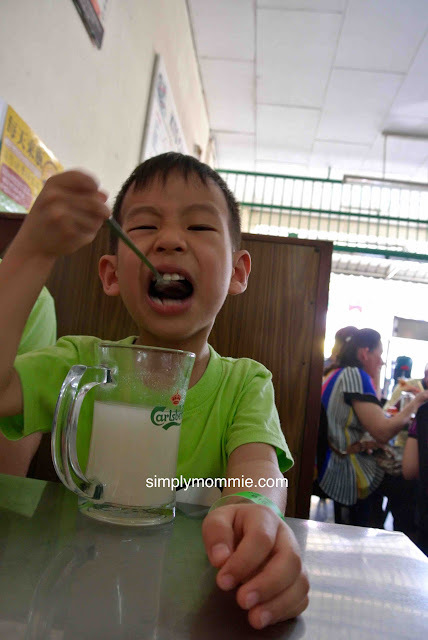 Hi, for the disembarkation at Penang port, was the chendol and penang laksa eating place far from the port? I’m not sure about your visa. Pls check with Royal Caribbean. You will need to leave your liquor with them. When you disembark eventually, you will get the liquor back. Hi, if i go to the port using MRT, Which station is nearest to the port? 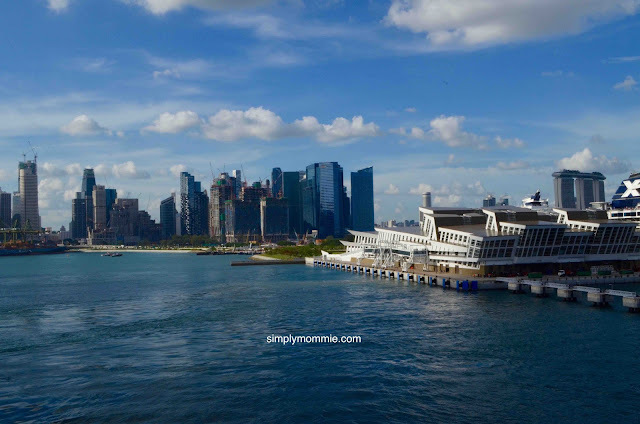 Hi, I think it is Marina South Pier station but I haven’t tried before. It should be still at least a 10 minute walk.